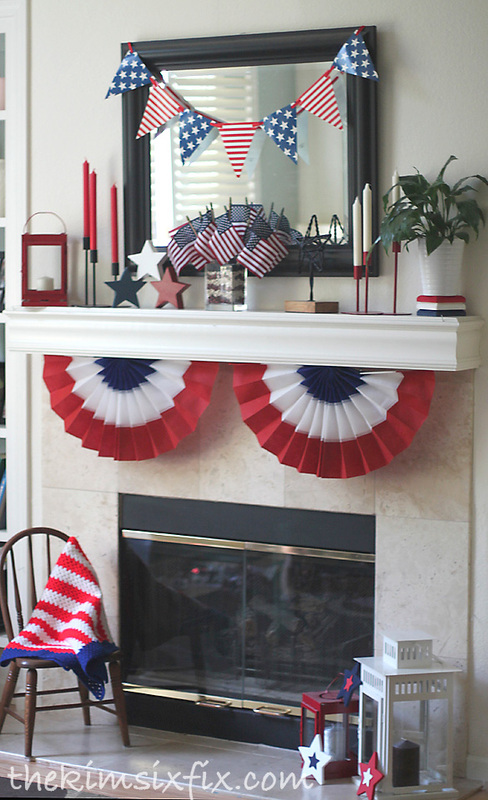 In our family it doesn't feel like summer until the 4th of July, so now that I finally have our mantle decked out in red, white and blue, the summer can officially begin! 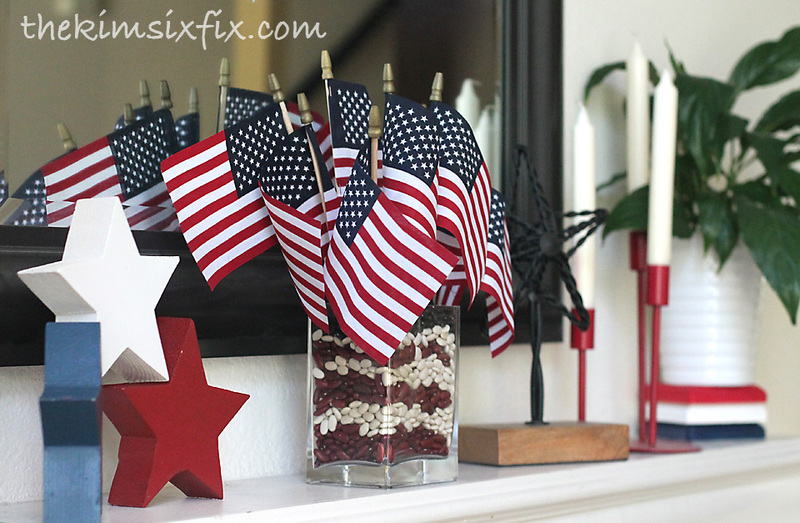 My cute little flag centerpiece I featured in my last post, took center stage. 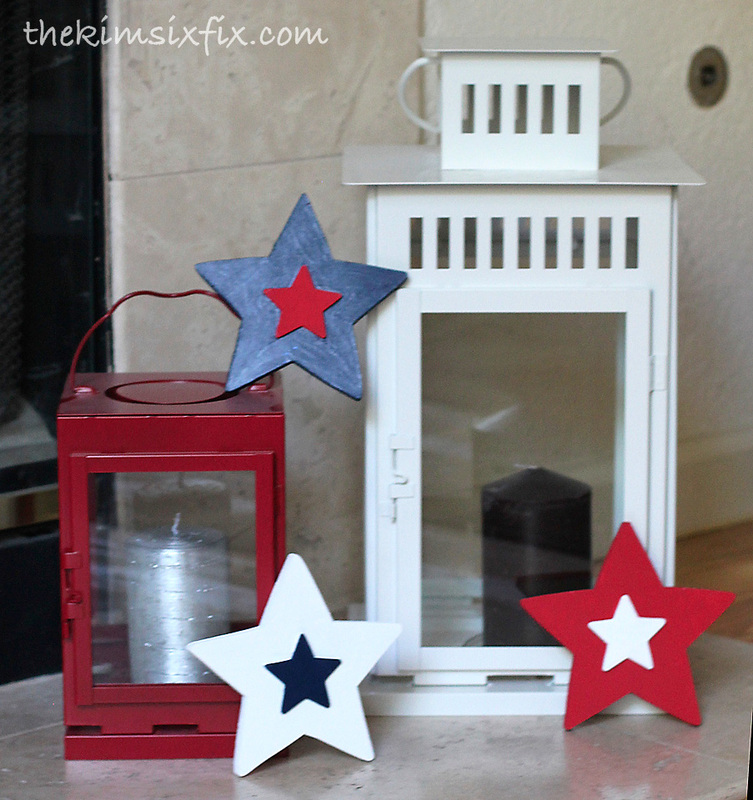 Although it would be darling on a table at a summer picnic, it also looks great up on the mantle. 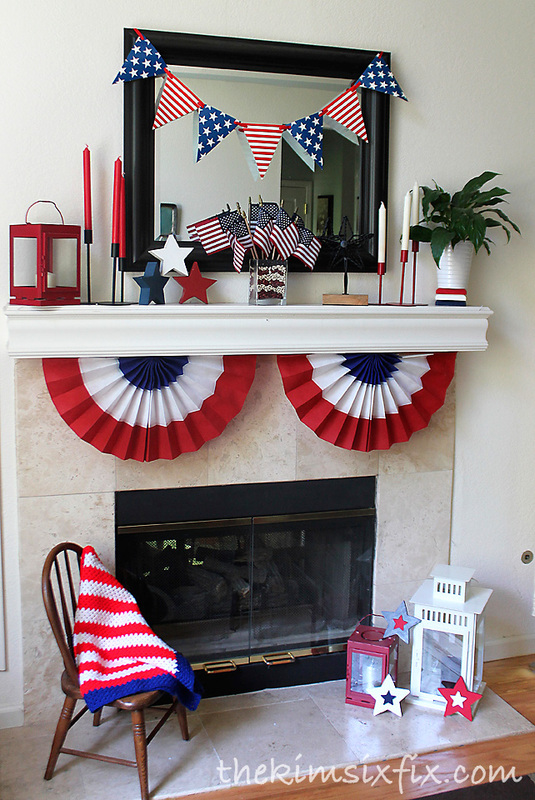 If you liked this mantle, you can check out last year's patriotic projects here! 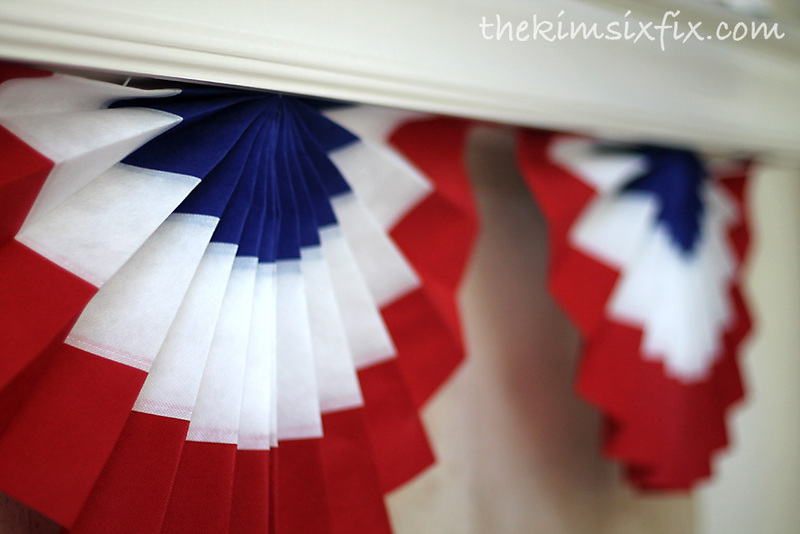 Linking up to THESE parties! 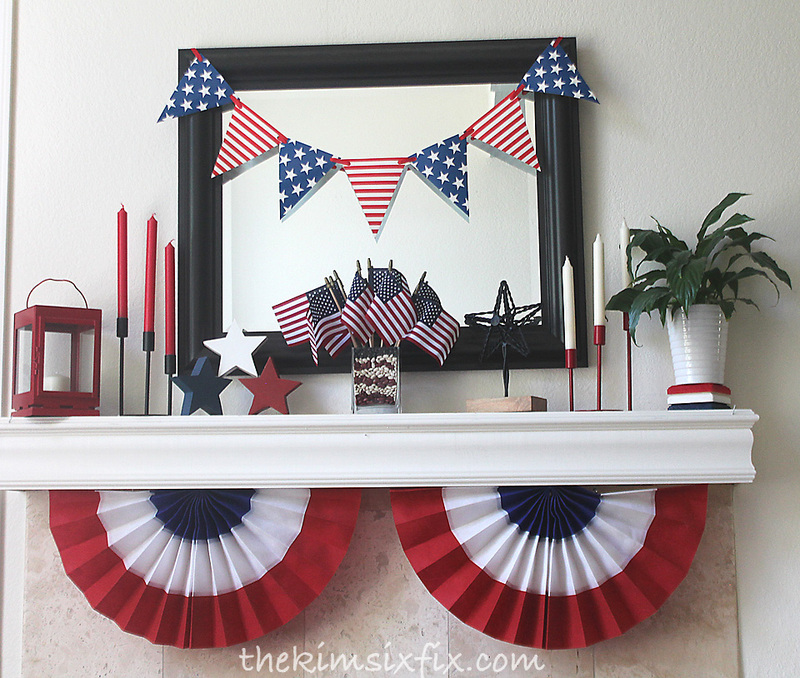 Your mantle is so adorable! 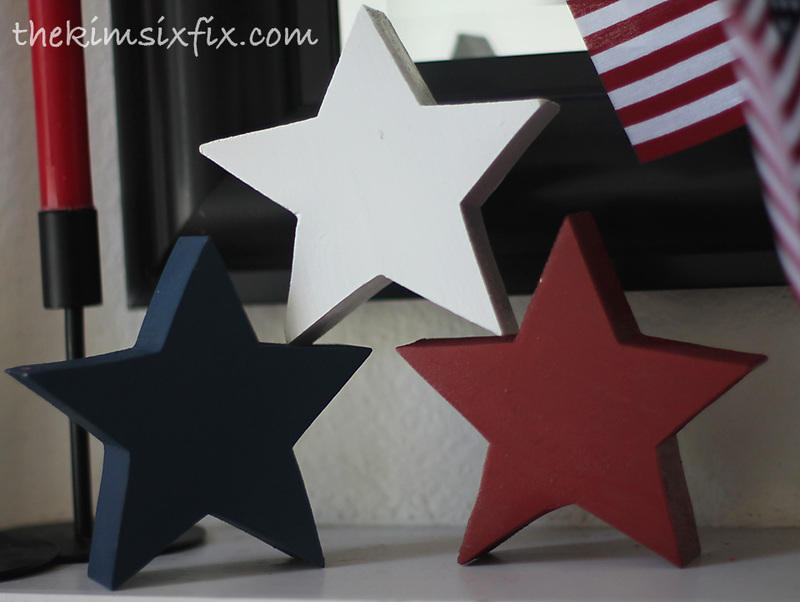 I really like those wooden stars. 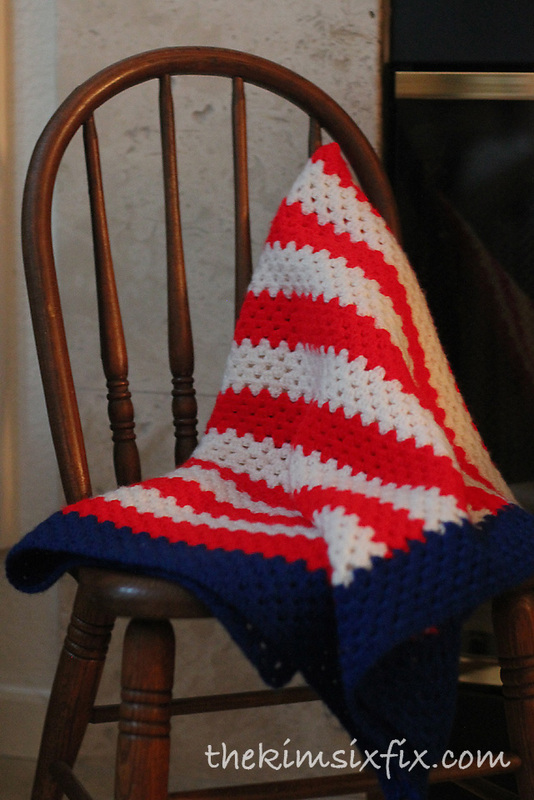 The cute little chair with the red, white and blue afgan caught my eye first thing though - then I read that it was a baby gift when you where born in 1976. I nearly fell out of my chair! You were a bicentennial baby, I was a bicentennial high school graduate! 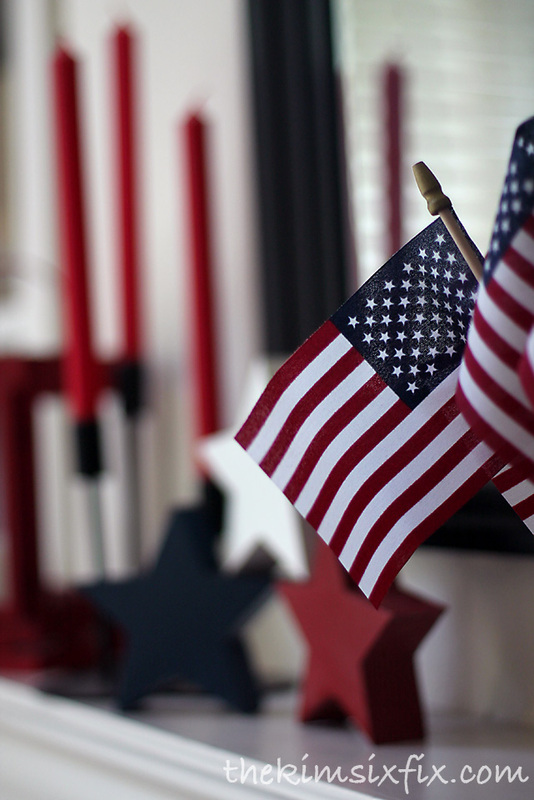 Even though our HS colors were orange & white, we wore red, white & blue caps and gowns for graduation because of the bicentennial and our tassels had a little '76 on them.